Alohomora! 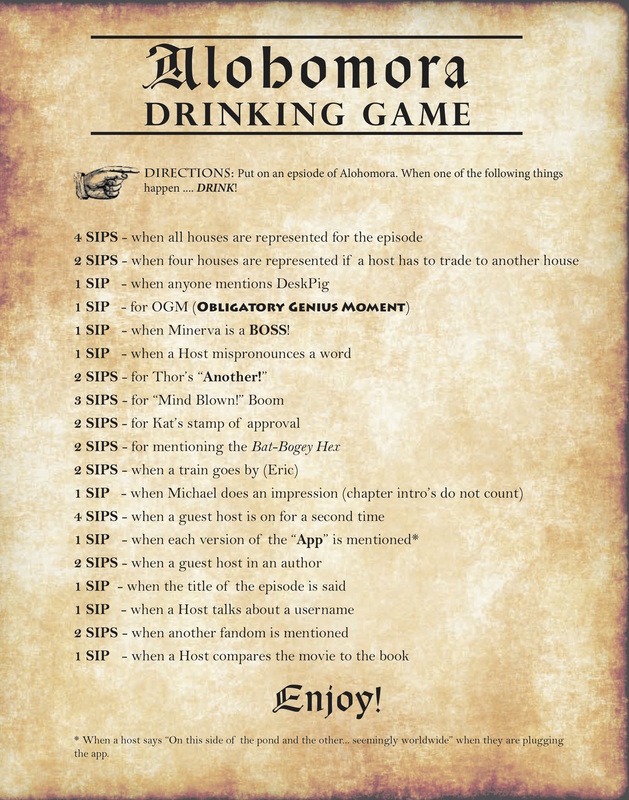 Drinking Game – Alohomora! 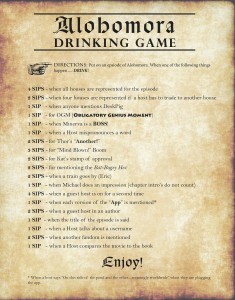 Thanks to our amazing listener Yo Rufus on Fire (aka, Stephanie) we have a magically fun drinking game! Download the sheet below (or have it up while you listen to the latest episode) and play along. We encourage you to grab a group of friends, make some delicious Butterbeer*, and enjoy yourself! *Since Butterbeer is nonalcoholic to Muggles and Wizards alike, this is our preferred beverage while playing. If you do choose an alcoholic beverage, please play responsibly.